Final day on the Disney Wonder and we are off to Castaway Cay. However, first, we have a Frozen greeting with Anna & Elsa. In the evening we enjoy the sensational Tiana’s and celebrate Mardi Gras with Tiana. Disney Wonder Day 3 proves to be a perfect day. Our day started with a reservation to meet Anna & Elsa. The most popular character greetings must be reserved in advance of your sailing. These sessions do full up fast and we missed out on a few reservations. 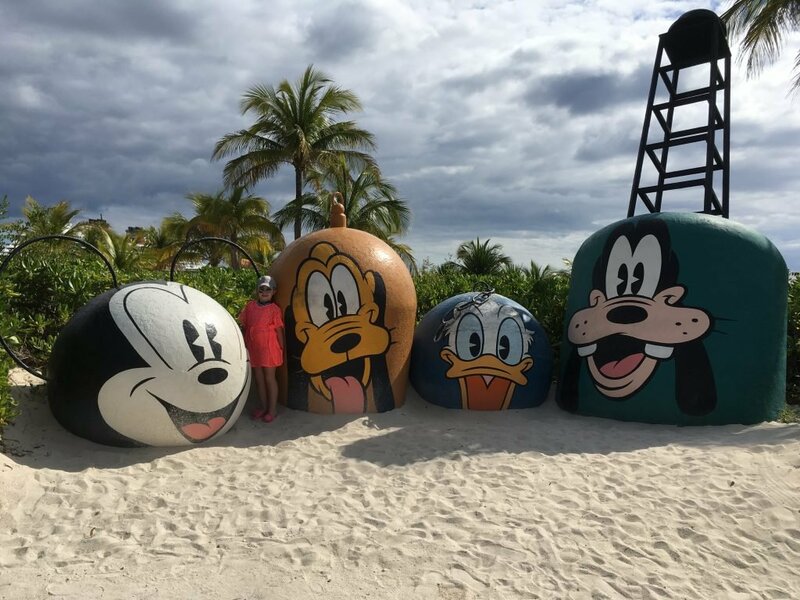 Disney’s Castaway Cay is a private island in the Bahamas operated by the Disney Cruise Line. In 1997 the Walt Disney Corporation signed a 99-year lease for the island from the Bahamian Government. It is located near Great Abaco Island and was formerly known as Gorda Cay. Gorda’s airstrip (now known as Castaway Cay Airport) was once used as a stop for drug runners. There are three excellent beaches for guests on the island. One beach is dedicated to families. Whilst there are additional beaches exclusively for teens and another exclusively for adults, called Serenity Bay. Separate areas have been designated for snorkelling, swimming and watercraft. Disney employs a large number of lifeguards to maintain guest safety. In addition, Disney has developed shops, bars, restaurants, kid clubs, games areas, water parks & extensive recreational activities on the island. There’s a real working Post Office if you want to mail back home. Guests who want a little extra luxury can hire one of twenty private cabanas. Our dinner tonight was at Tiana’ Restaurant. 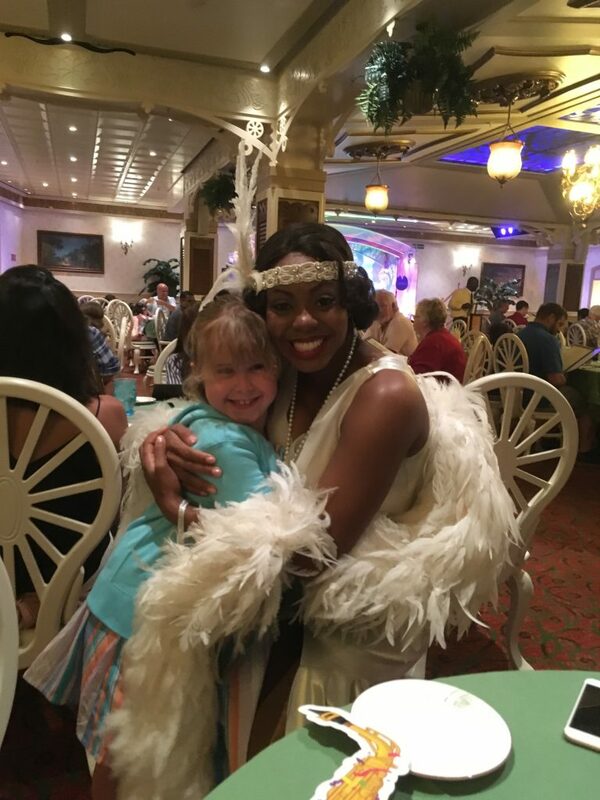 Tiana’s Restaurant is perhaps the most fun restaurant I have ever visited. Great food, live music, characters and a Mardi Gras parade make this a great evening. I was pleased this was our last restaurant as it was the best of the 3 by some distance. I do like the Disney Cruise Line rotating dining room system. It was great to be served by the same fantastic waiters each night in a new venue. 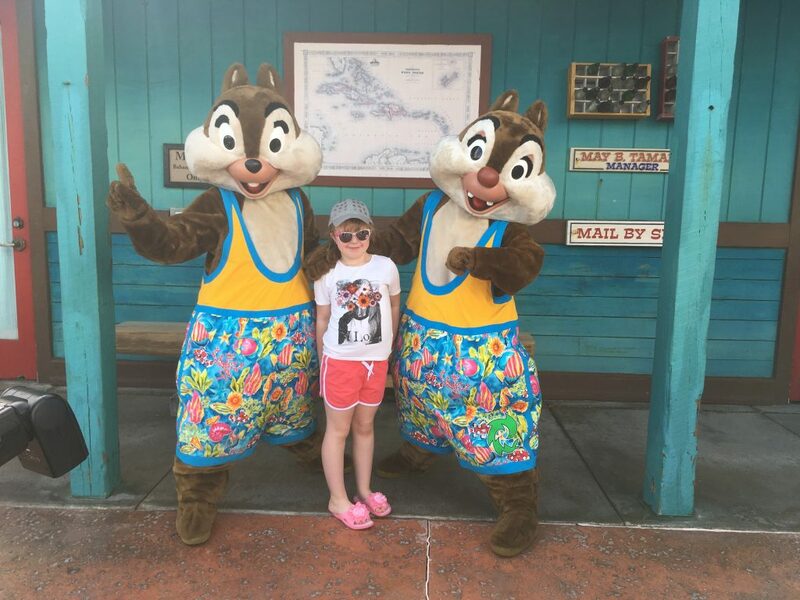 We blogged live from Orlando in 2018 including from the Disney Wonder. 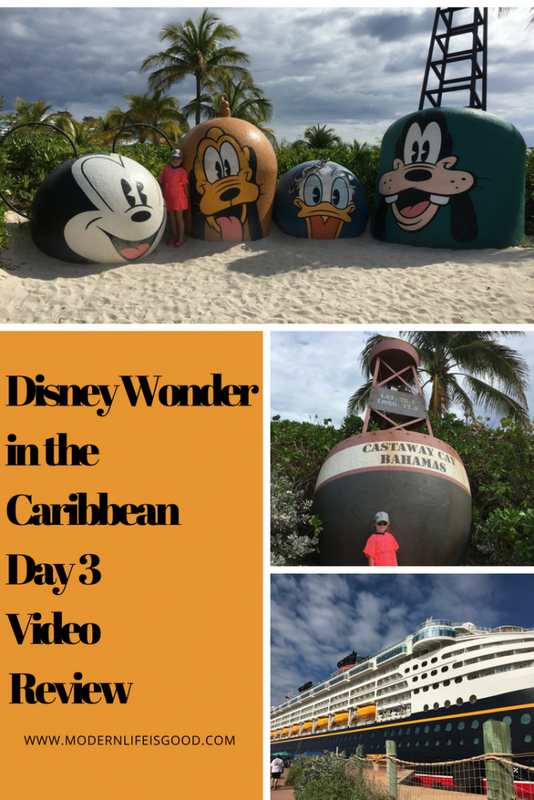 Read our thoughts whilst we sailed on our very first Disney Cruise. We have created a Disney Wonder Ship’s Highlights page including a tour of the ship.